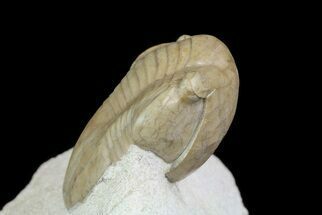 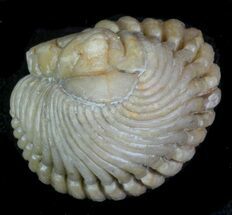 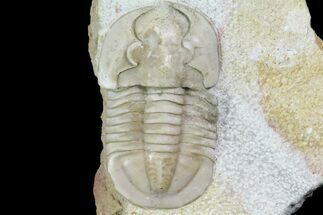 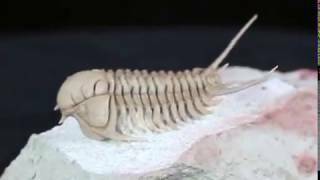 This is a spectacular example of a rare Russian trilobite, Cyrtometopus clavifrons. 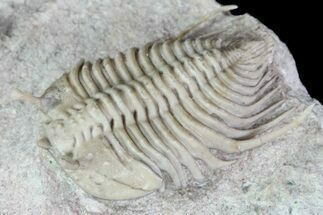 It's perfectly preserved and exquisitely prepared, flying above the limestone. 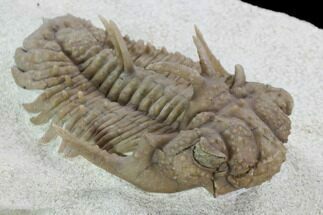 It's 2" long and looks like it's about ready to crawl off of the rock. 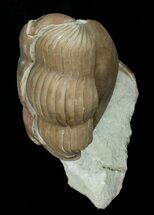 Certainly one of the nicest examples of this rare species that I've seen. 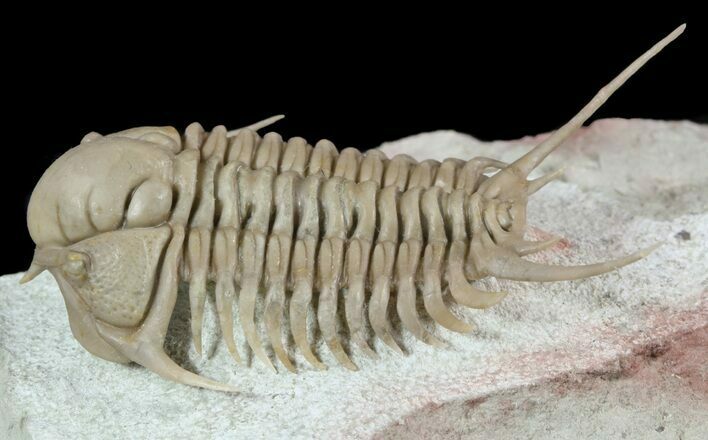 There is some minor restoration to the spine tips.